fill this landfill to the red line. 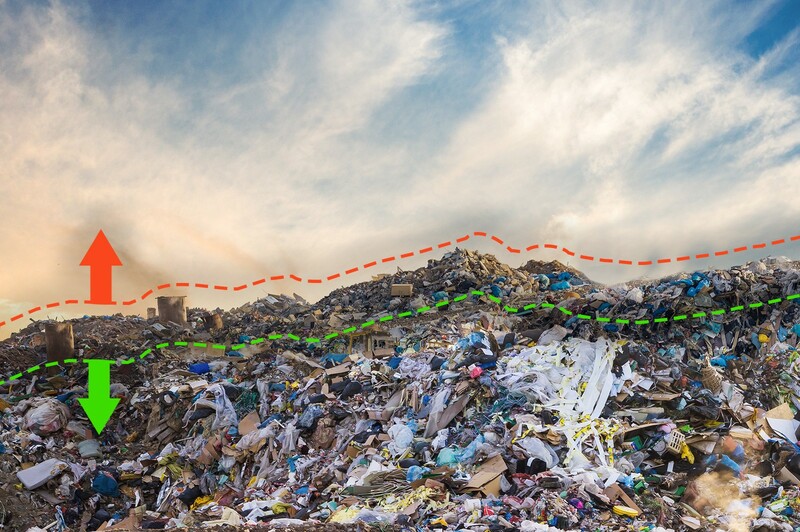 But, having your roof restored will contribute towards getting the landfill to the green line. At Energy Shield, we care deeply about the environment and make every effort to reduce our footprint. With an Energy Shield roof restoration, you can join the battle to reduce the environmental impact to our world. What is the Energy Shield roof restoration solution? 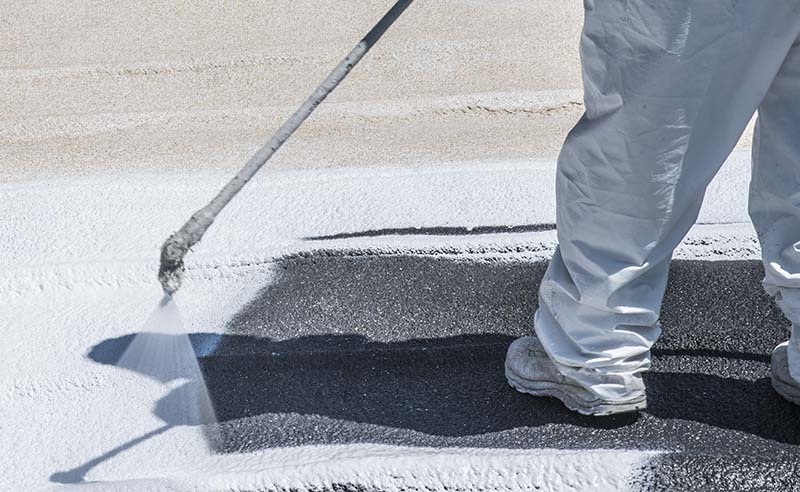 We recoat your current roof, filling in the gaps, seams, and sags with a spray foam insulation, which we then coat with silicone or other coatings based on your individual building needs. If necessary, we will rebuild your roofing deck and sub straight. By recoating and rebuilding, we’re eliminating both the cost associated with labor, materials and disposal fees. And of course, the environmental impact of dumping old roofing materials is dramatically minimized. With an SPF or Silicone Roof you’ll reduce your carbon footprint because you’ll no longer be emitting greenhouse gasses into the atmosphere. Our spray foam solutions has no ozone depletion potential, and 0 global warming potential. All of our spray foam technicians perform work in protective gear. We’re licensed and insured. How does it save greenhouse gas emissions? 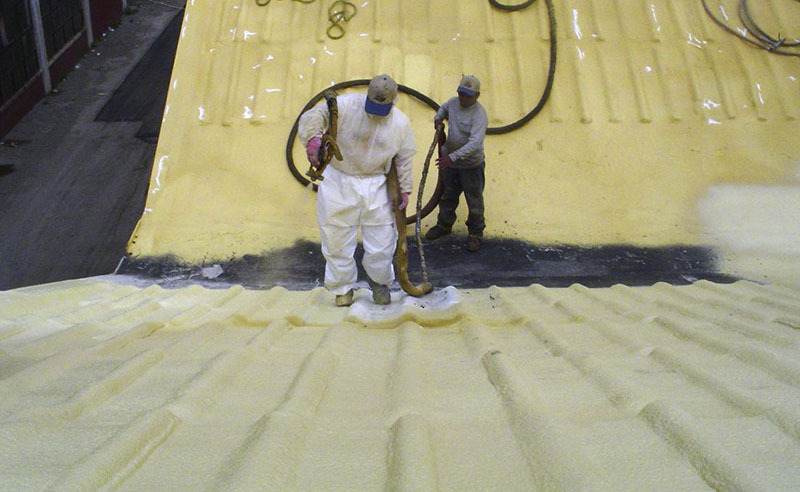 All of our spray foam solutions are environmentally friendly. They contain no ozone depletion potential (ODP) chemicals. There is 0 Global Warming Potential (GWP). It saves on greenhouse gas emissions by not contributing to it at all. How does my building currently contribute to greenhouse gasses and global warming? As the air leaves your building through the roof, with standard roofing, it is releasing greenhouse gas emissions through the HVAC system. Our seamless application of spray foam eliminates all conditioned air from exiting your building from the roof. Reducing your utility bills and it reduces your carbon footprint by at least 29%.